Blog yang memberi fokus tentang keusahawanan, teknologi, saham, buku dan kewangan. 1. Do I need to pay for the hostel deposit? 2. What to wear on the registration day? For taylor's is a private college, you can wear anything you like, but proper attire. It's an open option for you. No need to be too formal, but as to boost your confidence to take the ICPU challenges, it is recommended to wear a charismatic dress (like Mr. Adli). For muslim, cover your aurah (recommended). 3. Which subject should I choose for my course? For sponsored students, all the subjects are selected by your sponsor. You don't need to select your preferred subjects. Among all other accommodation places that I have been observing, I guarantee Casa Subang is the best place to live. However, you have to admit the high living cost, and Subang heavily congested roads. 5. What is the cut-off point and how to surpass the limit? 80. Start from the beginning, stay in good momentum throughout the course, and seek help from lecturers and friends. 6. How to travel from Casa Subang from the college (class)? 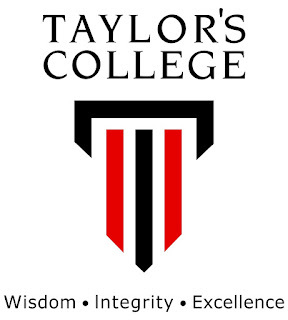 Bus services will be provided to and fro Taylor's College. But, some of the students would prefer to cycle and while there are problems with bus, some would take the RapidKL, and some would walk. 7. Do our sponsors pay the books that we will be using? No. You have to buy with your own pocket money. 8. Where can I get the books? University Bookstore is just in front of Taylor's College. But, wait. We have Anas Bookstore - a solution to save your money. We sell second hand Original books at a very reasonable price. 9. Where is Anas Bookstore? Anas Bookstore is a moving bookstore. We will be at Taylor's University College on the registration day and in the whole week. We also provide the question and answer service. ym: e_mc2paradox to get contact number. 10. Can I use photocopied books? I disagree with the usage of photocopied because you will be against the law of copyright and reserved items. We know that the original books are quite expensive, and we have some suggestions on how to cut off the budget while still using the original books (ym: e_mc2paradox or meet us during the registration day). Some lecturers are really strict with copyright and piracy. 11. How many years will we study in Canada? Until now JPA haven't made any change to the offer letter. The actual period of study in most universities in Canada is 4 years. You don't have to worry about anything regarding extending. 12. Do I need a laptop? You really need a laptop especially for Engineering Computer Science students. Casa Subang is equipped with good wireless service. You'll have good time to do some research on CPT and so on. A lot of tasks required you to check the blackboard frequently. You can share computer, but sometimes you really need to use it. Please be known that JPA does not sponsor any laptop for you. for mara students, you need to aware that the cut-off point may change..
terima kasih atas info. mara mmg menetapkan cut-off 85 pada asalnya. jadi, silalah berwaspada dgn markah anda. Cut-off point hanya 77. Semua pasti lepas. Anas's bookstore is the best alternative..hahaha..there u could also learn how to make money while blogging..
@aHelmi semestinya. haha. tahun dpn takde peluang dah kut. haha. post edited with additional FAQ questions. you could also bring desktop@pc if you don't have laptop..although it is bigger in size, it doesn't matter as long you can do your assignment..
thanks malcolm for the additional info. amir.f mcm menggalakkn org bermain fifa ye..
@xancer ok2. dorg dah tgk dah. pastu byk lagi soalan tambahan diajukan. kalo kte x dpt fly tu, abes cmne nsb nnti?? ade ke mne2 ipt nk trime?? Hmm. Bout the hostel deposit, didn’t jpa pay for us? And the subjects, how come in the form required us to choose 3 subs for 1st sem n 3 other subs for 2nd sem? In taylors got hostel right? So, we stay there ? Im confused. regarding the subjects, subjects dipilih oleh jpa, so don't worry bout that. ada tmpt hidup, jgn rsau.